Pass-A-Grille Beach is just south of St. Petersburg Beach on the tip of the barrier island that separates the Gulf of Mexico from Boca Ciega Bay. One story about how it got its name says it comes from the French for "Passe Aux Grilleurs" which means the passageway of the grillers. 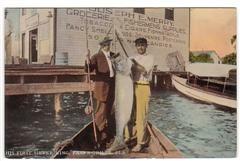 This name was in honor of the fishermen who used the land on the tip of the island as a camp and grilled fish there. 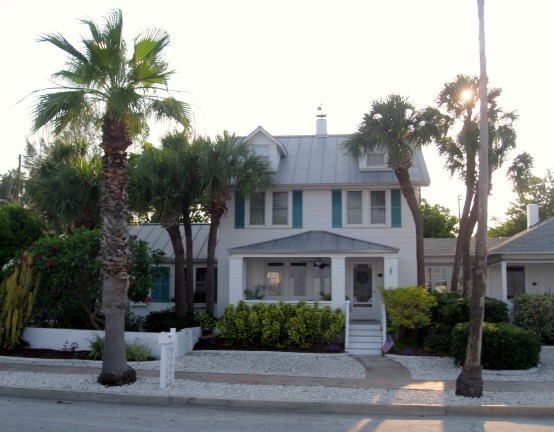 A pioneer named John Gomez built a small hotel in 1857, and travelers from up north would come from nearby St. Petersburg and Tampa to stay at his place and enjoy the beach and the fishing. The first major hotel was built in 1901 and people stayed there while looking at lots to build their vacation homes. It was 1957 when Pass-A-Grille and other beachside communities were swallowed up by St. Petersburg Beach. 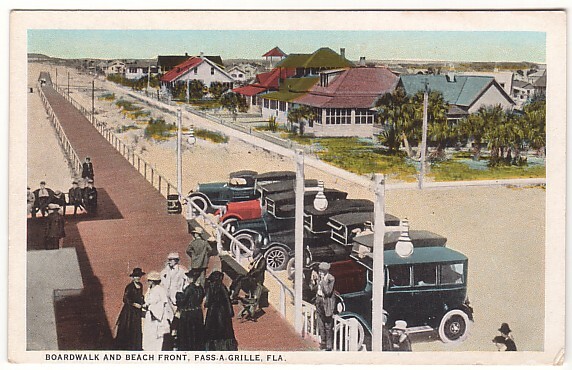 In 1989, most of the Pass-A-Grille area became a U.S. Historic District. There are plenty of interesting old houses, shops and restaurants in the District. The official count is 97 buildings. 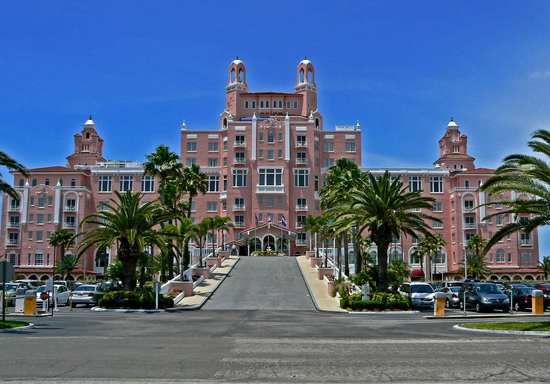 The grand centerpiece of this neighborhood is the magnificent Don CeSar Hotel, also on the U.S. National Register of Historic Places. This 277 room hotel was built in 1928, and is operated by Loews Hotels. 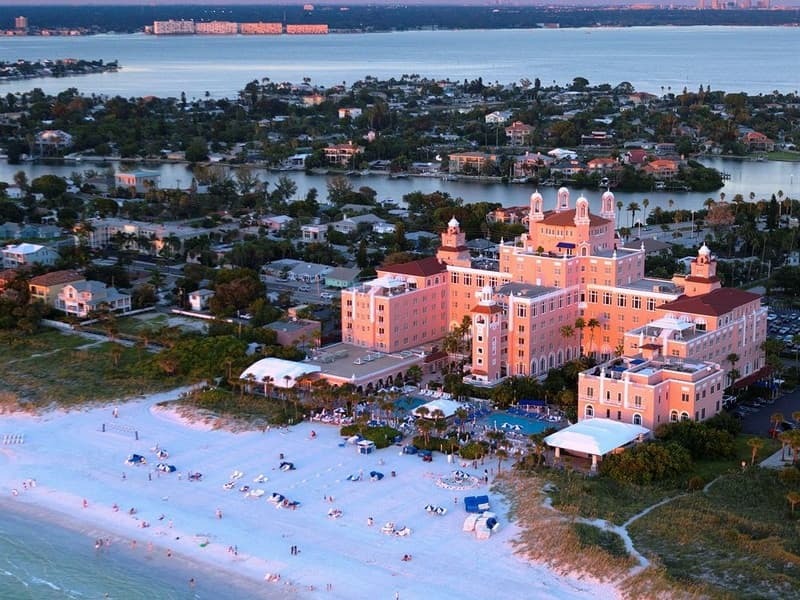 It is one of the most magnificent of Florida historic hotels. 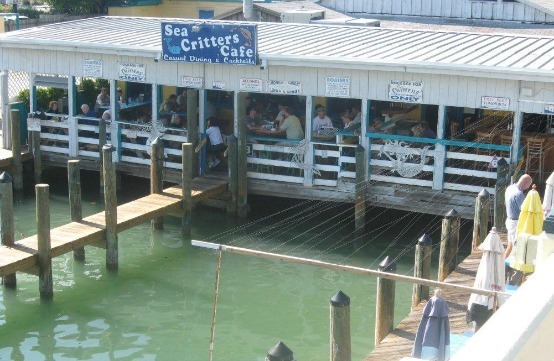 Sea Critters Cafe is one of several good places to eat in Pass-A-Grille Beach. It's located on the Boca Ciega Bay side of the village. You can sit outside on a deck overlooking the water, or inside if it's too hot for you outside. Outside is fun, especially at night, when the waters are glowing with underwater search lights and the fish love to swim around for you to enjoy looking at them. During the days you can often see dolphins at play. The Cafe has a very rustic look which adds to its charm. The menu is primarily seafood, as you would guess from the name, but they also have smoked ribs, pulled pork and hamburgers if you get tired of fish in this fishing oriented village. The staff is friendly and competent, and the place has a full service bar that serves great Margaritas among other specialties. Fresh seafood offerings typically served include grouper, sheepshead, swordfish and amberjack. Their seafood boil is not on the menu, but your server will tell you what is in the boil for the day of your visit. Their Lobster Pasta entree includes tender chunks of lobster tail with fresh spinach and tomatoes sauteed in olive oil, seafood bouillon and white wine. This is served over angel hair pasta and dusted with Parmesan cheese. You can also enjoy blue crab cakes that are grilled golden brown. Another favorite is lobster tossed with celery and herbed buttermilk dressing served on a New England style roll. They even have Chili Con Carne. Desserts include Key Lime Pie.